Yesterday we reported on Vizio stealing the 4K spotlight at CES 2014 with its enormously beautiful 120-inch Ultra HDTV. Though the company has yet to share a price for this stunner, it announced plans to release its P-Series UHD televisions sometime this year—with the smallest of the lot retailing at $999. 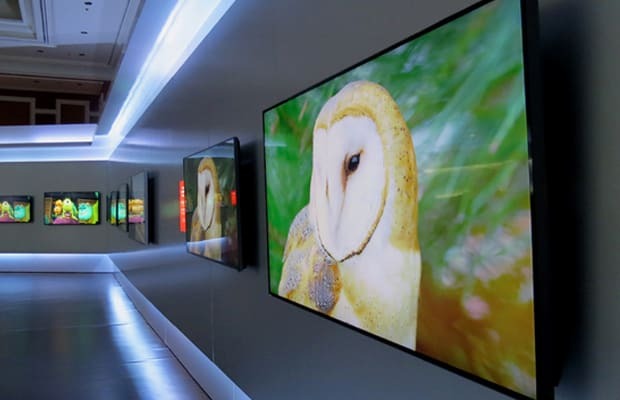 The model in question, the 50-inch P-Series television, features Full-Array LED backlighting and advanced local dimming technology, along with 65 Active LED Zones that are used to produce more accurate colors and vibrant picture quality. All other models will range from $1,400 (55-inch) to $2,600 (70-inch). Considering Vizio&apos;s reputation for manufacturing high-quality products at extremely competitive prices, mediaphiles should be giddier than a fat kid trapped in the Entenmann&apos;s factory, as this looks to be the most affordable and anticipated 4K model to hit the market in its price class. Additionally, with video streaming services such as Netflix starting to pump out 4K content, it&apos;s safe to say the UHD TV revolution has commenced.